Welcome to my Indie Writer Platform. I was born and raised in the city of Buenos Aires, but I moved to Gijón in Spain before I settle down in London several years ago, where now I live and work. I studied graphic design for advertising at the New School of Art and Design in Buenos Aires and I´ve been working in the graphic arts for over 20 years at many companies and also as a freelancer. 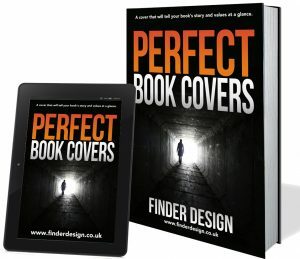 Also I started a business on designing book covers, and I have written a companion book on the subject called Perfect Book Covers, which is being translated into English and is due to be released at the end of October 2016. But my real passion is for writing. 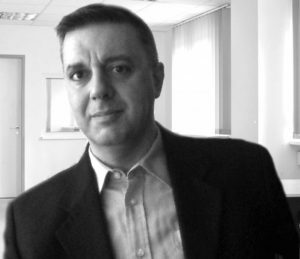 Right now I´m the author of 5 books, all written in Spanish, which are being translated into English bit by bit. 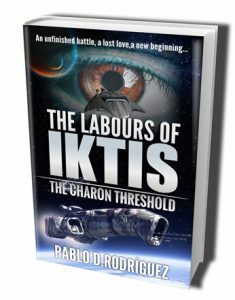 My space opera series, The Labours of Iktis, is an exciting blend of space exploration and futuristic battles. I have six book in Spanish language Three as part of my Space Opera series; and now I´m ready to start the adventure of translate my books to English. The first translated book is my cornerstone Science Fiction Novel: The Labours of Iktis, a space opera and a big dumb object adventure where humanity will be under siege due an attack of an alien force. Follow this link to access the Amazon page in your region. “A distant moon in the outer solar system, holds the key to a mystery, which has remained dormant for millions of years. A man will have to revive the distant past and risk everything to prevent an ancient evil from fulfilling its vengeance. You will discover that life is an endless cycle, and that the battles unfought are the only ones lost. The fate of conscious races is in your hands… again. 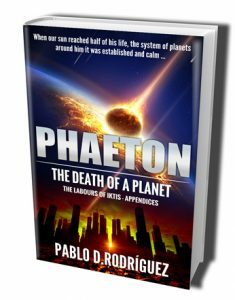 Also you can download for free the eBook with the side story; the appendices of my series: Phaeton, the dead of the fifth planet of our solar system; where you will find the hidden history about a planetary disaster that brought chaos to the whole solar system. And how an advanced civilisation, inhabitant of Phaeton had left their mother planet behind to follow an insecure path among the stars. If you want to contact me, you can use the contact form you will find in the top menu. Start reading my book right now! !